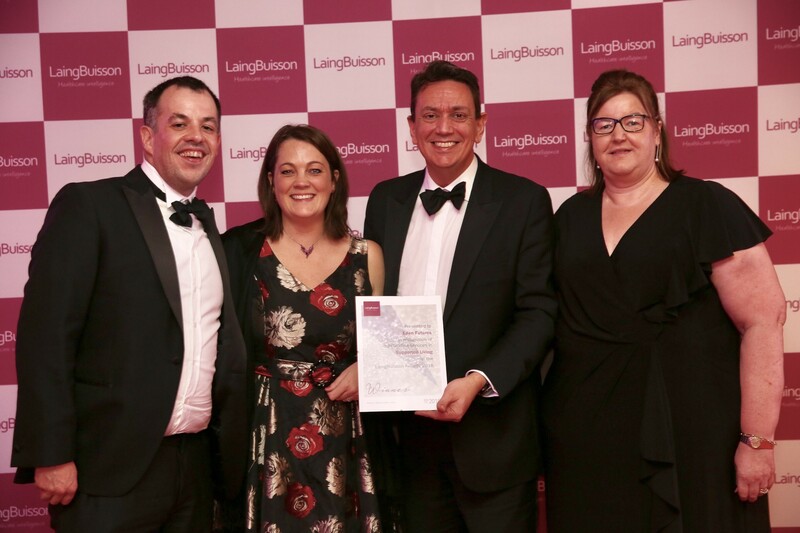 A national supported living provider has won the Supported Living accolade at the prestigious LaingBuisson Awards 2018 ceremony. Eden Futures was up against nine other supported living providers but impressed the awards judges with their organisational attitude, approach and goals and their key accomplishments over the past 12 months. One of these key accomplishments is achieving a 100% good CQC rating in every service and in every Key Line of Enquiry, a result of their continual drive to achieve quality outcomes for the people they support. Receiving the award, Andrew Lennox, Eden Future’s CEO commented: “Following our Public Private Partnership Laing Buisson award win last year, we are now honoured to have also received the Supported Living Provider award. More than 1,000 people were present at the annual awards ceremony which celebrates the best in health and social care. Held in the spectacular ballroom at the Park Plaza Westminster Bridge, the event was hosted by actor and writer, Alexander Armstrong, who entertained the guests before presenting the Awards with LaingBuisson Chairman, Stephen Dorrell. LaingBuisson’s biggest event yet, the finalists were chosen by an independent panel of judges from over 350 nominations. Eden Futures enable individuals to live as independently as possible, providing care and support services to over 600 people with learning disabilities, autistic spectrum disorder and profound mental health conditions across the UK. They work innovatively in the sector to find housing with care solutions for vulnerable adults, and have had recent success as a result of collaboration and consultation with housing associations and local authorities.